Prince William Board of County Supervisors will take another look at increasing the county's tax rate for data centers. The board will hold a special meeting to discuss a possible increase on Wednesday, April 17. At-large Chair Corey Stewart, who is not seeking re-election this year, called for the meeting to consider increasing the tangible personal property tax rate for programmable computer equipment and peripherals, which currently is $1.25 per $100 of assessed value, according to a county news release. Stewart is expected to provide more information about his proposal during a news conference Monday. Supervisor Pete Candland, R-Gainesville, said Tuesday that if the county increased the data center tax by 25 cents to $1.50 per $100 assessed value, the county could see an additional $6 million in revenue. Before voting to adopt an increase in the data center tax, the county must advertise a new proposed rate and hold a public hearing on that proposed rate, according to the news release. At the April 17 meeting, supervisors can direct county staff to advertise a public hearing for 7:30 p.m. Tuesday, April 30. Supervisors are set to have a budget markup meeting 7:30 p.m. Tuesday, April 23, where they can make changes to fiscal year 2020 budget. According to the county’s budget schedule, supervisors were set to adopt the budget on April 30 for fiscal year 2020, which starts July 1. 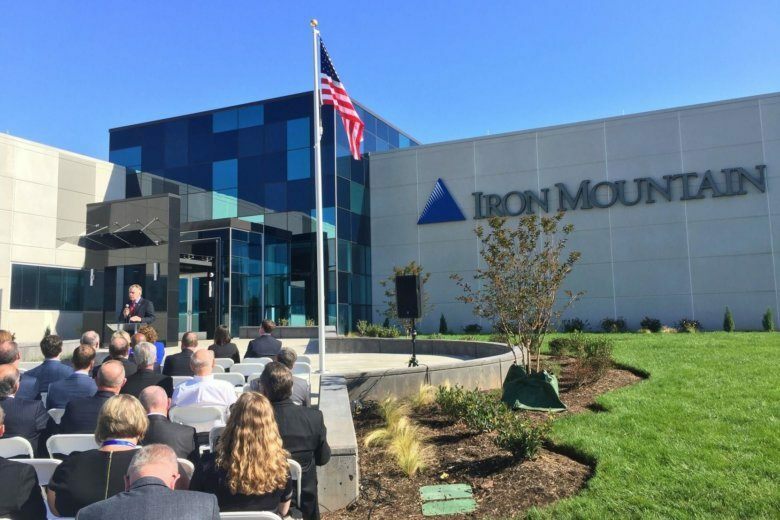 In December, Prince William County supervisors were celebrating two new data center facilities at the county’s Innovation Park and signaling their support for the lowest computer tax rates in the region. “By providing a designated Data Center Opportunity Zone and positive business climate for high-caliber enterprise, the county provides an ideal environment that stimulates commercial growth which benefits businesses and residents alike,” said Jeanine Lawson, Brentsville District supervisor. Stewart said in February he wouldn’t propose any increase this year in the county’s tax rate on data centers. Stewart’s attempt to triple the rate last year failed. The board voted 4-2 in February to direct county staff to begin conversations with data centers to discuss a multiyear plan to incrementally increase the programmable computer equipment and peripherals tax rate. Supervisors Marty Nohe, R-Coles, and Jeanine Lawson, R-Brentsville, voted against the directive, while Stewart, Candland, Supervisor Frank Principi, D-Woodbridge, and Maureen Caddigan, R-Potomac, voted to approve the directive. Prince William County business and industry leaders previously suggested a targeted tax increase would stall the kind of capital business development the county needs.